Grindelwald’s most heinous crime is its second act. The latest entry in the Harry Potter spinoff franchise has so many things working against it, it’s a wonder it’s still as entertaining as it is. Fantastic Beasts: The Crimes of Grindelwald, about a plucky magi-zoologist named Newt Scamander and his many shenanigans, is crippled trying to hold up the weight of its responsibilities as a prequel franchise’s second instalment. It’s not, as Forbes Magazine noted, a ‘Franchise-killing disaster’, but it is problematic enough to dilute excitement for the next instalment. This is unfortunate, given JK Rowling manages to sneak a few compelling, contemporary ideas into her screenplay about neo-fascism and genocide. Played by Johnny Depp, Grindelwald opens the film with a thrilling escape sequence. White as the Moon and sporting a Doc-Brown head of silver hair, Depp brings surprising swagger to the role of the anti-muggle villain, especially given Depp hasn’t put an ounce of effort into his acting roles in years. Swapping appearances with an accomplice, Grindlewald clings to the bottom of a flying chariot before assassinating the men who have arrested him and stealing away into the night. CGI-heavy, there is still weight and physicality in the action sequences. One of the great things about the Harry Potter franchise was that it always left time for audiences to live in the magic of the world they’ve been invited to. I’m thinking of the lamplit boats sailing up to Hogwarts in the first film, and of Harry stepping into the Weasley’s larger-than-it-appears tent in The Goblet of Fire (2005). These were little moments that reminded audiences they were in a magical world, where wonderful things could happen in a mundane context. That stuff happens here in Fantastic Beasts, although it loses some of the charm of the original franchise because we’re no longer seeing it through the eyes of a wide-eyed boy taking everything in for the first time. That said, Newt Scamander’s collection of beasts is wonderful to look at. A sequence in which he feeds his energetic Kelpie has some of the joyous charm of the originals. Unfortunately, after a thrilling opener and some charming asides, the movie becomes bolstered down in sequel-mapping and plot exposition. 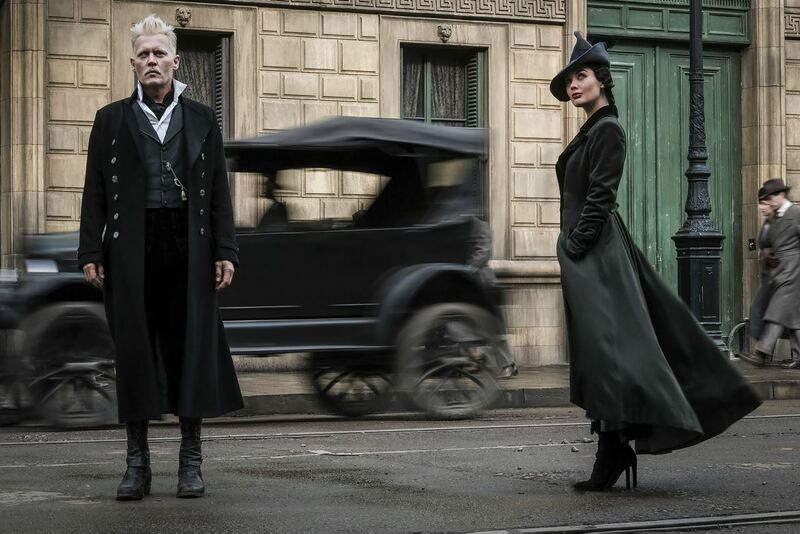 The hunt for Grindelwald is made needlessly complicated by several other plot threads running together, prepping for the three upcoming sequels, resulting in a second act that’s so dull and glacial and unlike the first act that I suspect I fell asleep and dreamed it. Newt’s awkward interactions with the frostily unreceptive Tina Goldstein (Katherine Waterston) resemble romance as much as a dead body resembles a living one, there’s a character-killing plot about a young Bellatrix Lestrange that turns a psychopathic killer into a mischievous-yet-sweet, boring nerd, and returning characters Jacob Kowalski (Dan Fogler) and Queenie Goldstein (Alison Sudol) are given little to do but stand by until the final act. 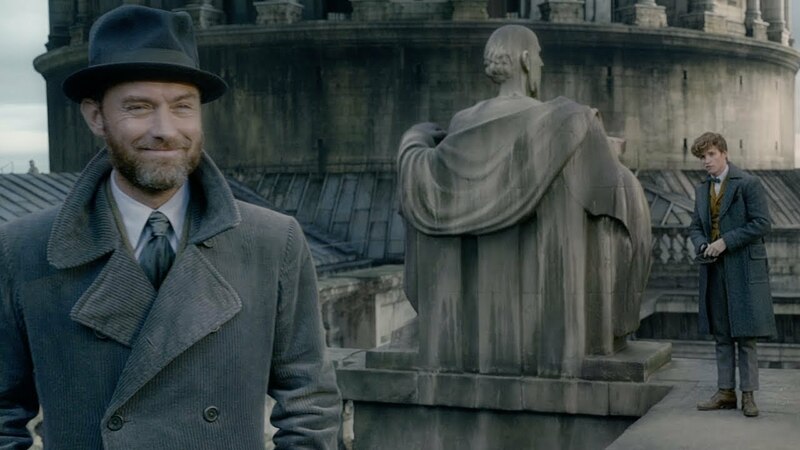 The one saving grace in all this muck is Jude Law as Dumbledore, who recalls a combination of both Richard Harris’s and Michael Gambon’s entrenched performances. He conjures up the coy wisdom, deliberate mannerisms and far-off look that the aging professor always had, as if there was something on his mind that may or may not be bothering him. Dumbledore is given a weak backstory that meekly hints at his relationship with Grindelwald (‘We were more than brothers’), yet it’s never explicitly stated, leaving me to wonder, why even bother putting it in there? Things pick up again towards the end with the silver-tongued Grindelwald amassing his followers like a proto-Voldemort and delivering a chilling speech. This is where Rowling’s screenplay seems to locate its purpose, echoing the off-putting rhetoric of leaders who claim no hatred toward other races while performing it in their leaderships. With fittingly repulsive malice from Depp, Grindelwald assures his followers he doesn’t hate people who aren’t magic by birth, he merely believes they are different. He doesn’t quite say it, but believes in the superiority of the ‘pure’. Through him, Rowling channels the disturbing rise of the far right across Europe and its purveyors of hate in Turkey, Portugal and in the United States. Threading this heavy political subtext into a children’s fantasy franchise is a commendable attempt at alerting younger generations to the world they’re living in, through the one they’re using to escape. 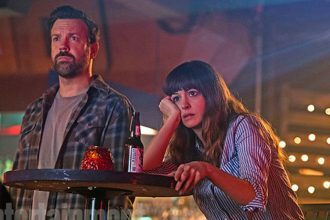 It’s a shame that all this is bogged down by the film’s exhaustingly dull middle section and its restricting adherence to franchise filmmaking. 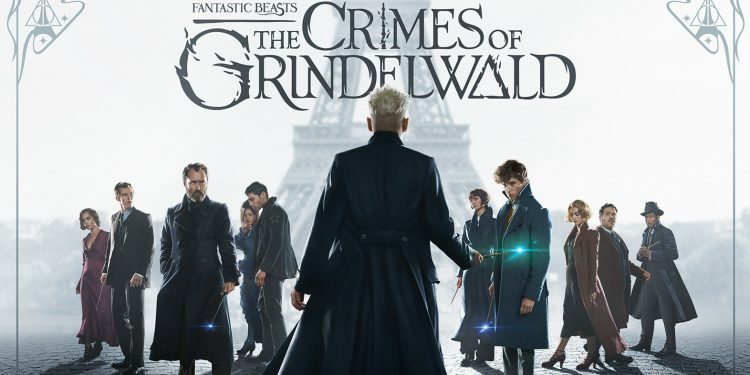 The same way interesting ideas and genre subversions almost manage to make their way into Marvel films, Fantastic Beasts: The Crimes of Grindelwald is another victim of the movie industry’s aversion to standalone films. It clings for dear life to the rafts of rebooted, reimagined, re-dredged-up franchises, dragging the movies down with it.